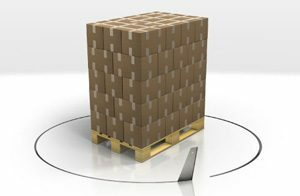 Cargo theft results in billions of dollars of loss every year in the United States, but taking precautions can minimize the risk. FreightWatch International’s Supply Chain Intelligence Center offers the following advice for securing your supply chain, and reducing cargo theft. Conduct thorough background investigations. Driver turnover continues to be an enormous vulnerability in the supply chain, ranging from 90 percent to 130 percent per quarter for the past several years. Shippers should conduct due diligence initiatives when sourcing transportation requirements, as well as conduct thorough background investigations on anyone handling the product during the shipping process. Prepare your facility. Warehouse burglaries are the highest-value incidents due to the large volume of product stored in a single location. Routine inspections will deter complacency and identify emerging vulnerabilities. Conduct security awareness training. Drivers are the first level of defense in the fight against cargo crime, and their awareness is paramount. They must know the threats and the best practices to countermand those threats. Keep current on theft trends, hot spot locations, and the products prevalently stolen. Shippers and carriers must track the trends pertaining to cargo theft, including timing and circadian frequency of cargo theft, seasonal fluctuation, and high threat areas. Supply chain professionals should also tune in to theft trends across commodity in order to make informed decisions during their risk analysis process. Be prepared for the holidays. Historically, cargo theft increases during holiday weekends for transportation companies, shippers, and manufacturers. Shippers should strive to maintain a delivery-without-delay system, and facilities should exercise additional caution during this period by supplementing layers of physical security and auditing current emergency management processes. No time is more vulnerable than an extended holiday weekend. Create an in-transit security policy. Perfect practice makes perfect performance. In-transit security procedures will vary based on commodity, location, and weather. Apply careful analysis to your enterprise’s logistics footprint in order to determine the most feasible and applicable in-transit security policy. Reduce the time loads are left unattended. Cargo at rest is cargo at risk. In the past 12 months, almost 90 percent of cargo theft in the United States has occurred at an unsecured or unattended location away from the origin. Truckstops dominate this scene as truckers often leave their loads unattended for hours at a time. Vary routes and lanes. Organized cargo thieves are smart, methodical, and patient. They invest time in planning, and a key part of their planning is surveillance. Varying your lane and shipping schedule is critical. Use assisted-GPS covert tracking technology embedded in cargo. Electronic Freight Security is a dynamic tool that allows a shipper to maintain full visibility of cargo for the shipment’s duration. Immediate response and resolution to non-compliance incidents reduces opportunities for theft. Take a layered approach. A Security-In-Depth or Defense-In-Depth approach is paramount to thwarting cargo theft. The three integral and synchronized pieces are people, procedures, and technology. Supply chain professionals should strive to have an efficient security solution from dock to door.